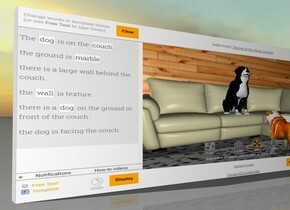 There is a [template] wall 8 feet behind the couch. The [how-to] wall. the camera light is grey. 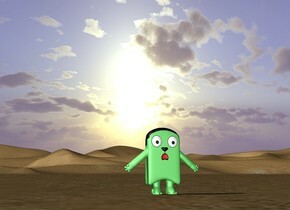 A cartoon is on the desert. the camera light is grey. 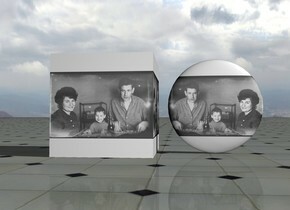 The [grandparents] texture is on the large cube. the texture is 2 feet tall. 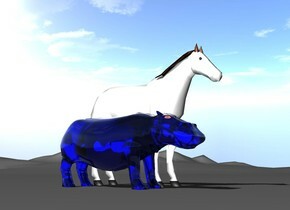 the [grandparents] emoji is a few inches next to the large cube. the ground is tile. 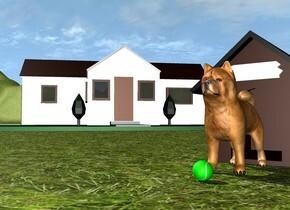 The dog is in front of the dog house. the ground is grass. there is a house 2 feet behind and 2 feet to the left of the dog house. the house is facing southeast. the ground is unreflective. 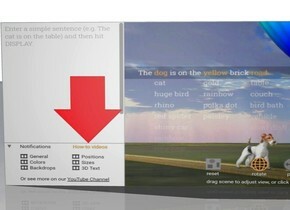 there is a ball in front of the dog. 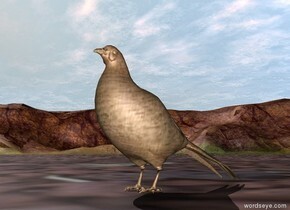 The [wood] texture is on the bird. 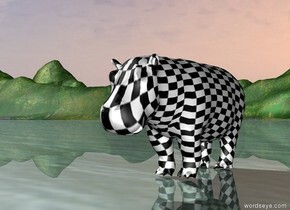 The [checkerboard] image is on the hippo. 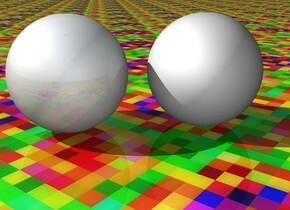 The dull sphere is two inches to the left of the unreflective sphere. 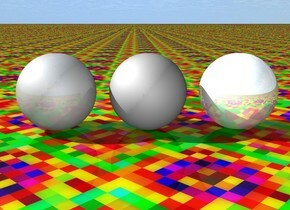 The unreflective sphere is 2 inches to the left of the shiny sphere. The ground is [texture]. the camera light is grey. The dull sphere is two inches to the left of the unreflective sphere. the ground is [texture]. the camera light is grey. 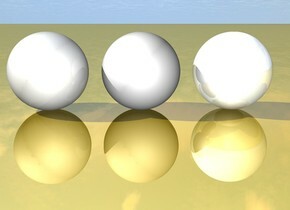 The dull sphere is two inches to the left of the reflective sphere. the ground is [texture]. the camera light is grey. The dull sphere is two inches to the left of the unreflective sphere. 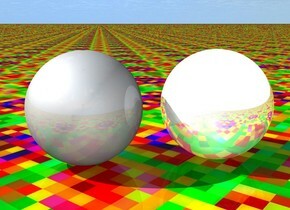 The unreflective sphere is 2 inches to the left of the shiny sphere. The ground is gold. 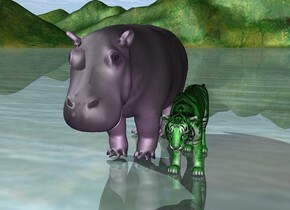 The purple hippo is next to the green tiger. 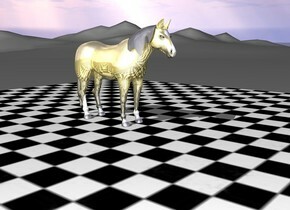 The gold horse is on the large checkerboard floor.